1. Can a Defined-Contribution Pension Plan Be Rolled Over Into an IRA? 2. "If I Roll Over From a 401(k) to an IRA, Can I Then Roll Over From an IRA to a 401(k)?" The Internal Revenue Service is quite generous when it comes to pension plans, and for the most part you can roll any qualified plan into an individual retirement account. The same rollover rules apply to traditional pensions and also defined-contribution accounts like 401(k)s. Done correctly, pension rollovers are tax neutral. Do them incorrectly, however, and there's a risk the IRS will take a slice of your pension pie. Can You Do a Pension Rollover to an IRA? The short answer is, yes, most people can roll a pension balance into an individual retirement account. In fact, with many companies choosing to close out their traditional pension plans, it's encouraged for workers to roll the pension into an IRA or another employer plan like a 401(k). The IRS is extremely keen for retirement savings to stay where they belong – in a protected retirement savings account that cannot be touched until retirement. 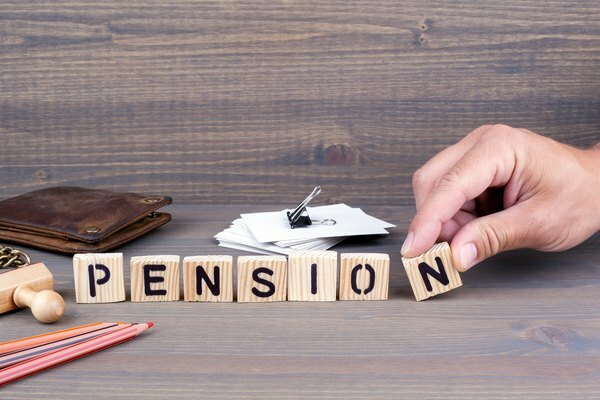 There are two caveats: first, the pension must be a "qualified employee plan," that is, for the exclusive benefit of employees that meets IRS requirements. If you've enjoyed tax deferral on your contributions, the plan almost certainly will be a qualified plan. Second, you must have left the company or your employer must be intending to close out the plan in order to perform a rollover. It's a good idea to verify the plan status with your employer or the plan administrator before initiating the transfer of funds. Rolling your pension into an IRA is an extremely simple procedure if you follow the direct method. The first step is to set up an IRA if you don't already have one. Then, you'll need to speak to your employer and request the paperwork needed to initiate a distribution from the pension plan. The main point is to request a "direct" rollover to your IRA custodian. This will set in motion a direct monetary transfer from one account to the other. The pension plan administrator and the IRA custodian will organize the transfer behind the scenes – your only job is to fill out the paperwork. Normally, requesting a distribution from a pension would trigger a tax liability in the year in which you take the distribution. It would also trigger a 10 percent early payment penalty if you are under 55. By rolling the account balance over, you eliminate that tax liability. The rollover is tax neutral with no taxes or penalties to pay. Your rollover will be taxed later when you begin taking distributions, presumably when you retire. You also have the option of having the account balance paid directly to you so you are essentially borrowing the pension funds for a short period. The rule here is that you must redeposit the money into an IRA within 60 days or the distribution will be subject to tax and possibly a penalty if you are under 55. With an indirect rollover, the plan administrator is required to withhold 20 percent of the account balance before writing the check to you, and to send that money to the IRS. But IRS rules say you must roll 100 percent of the pension distribution into the IRA to avoid paying taxes. You will need to find the amount of tax withholding from another source such as your savings to complete the rollover in full. Understand that you can only perform one 60-day rollover without tax implications in any 12-month period. If you're rolling over multiple employer plans from a number of different employers, you're limited to one per year. If you are 55 years of age or older when you leave the company or the plan is closed, you are permitted to take the company pension as a lump sum distribution without triggering the 10 percent premature distribution penalty. You will, however, pay ordinary income tax on the distribution in the year you take the money. This rule is unique to pension plans. With 401(k)s and IRAs, for example, you're liable to pay a 10 percent tax penalty on distributions taken before age 59 1/2. So, if you roll the money over, you'll lose the ability to take a penalty-free withdrawal until you reach that later age. Some companies will allow you to split the rollover, taking some of the plan balance as a lump sum now and rolling over the rest. You'll get a check for the partial rollover so keep in mind that 20 percent will be withheld for federal taxes. Most company pensions work by paying you an income stream for the rest of your life after retirement. When you die, your surviving spouse generally will receive half the amount you received as an annuity. It's only your spouse who benefits from this arrangement – annuities typically do not get paid to surviving children. If you are married, then your spouse must give up his or her right to an annuity interest before you can move the money to an IRA. Most plan administrators will require the notarized signature of your spouse before they will complete the rollover. The plan administrator can tell you what forms need to be signed. One advantage of a rollover is that you can choose who gets your IRA when you die. For example, you could leave everything to your spouse or name your spouse and child as 50/50 beneficiaries, so they get half the funds each. There's more flexibility. What If There's Stock in the Company Pension Plan? If you own company stock in your pension plan, you can either sell the stock and roll the cash benefit into your IRA, or you can simply transfer the stock to your IRA account. What you're not permitted to do is keep the stock and put an equivalent sum into your new retirement account. There's also a third option that may provide tax advantages to those with a sizeable stock holding. It's called the "net unrealized appreciation" method. Net unrealized appreciation refers to the difference between the price you paid for the stock and its current market value. For instance, if you bought 100 shares at $10 per share ($1,000) ten years ago, and those shares are now worth $30 each ($3,000), $1,000 would represent your cost basis and $2,000 would be net unrealized appreciation. With a net unrealized appreciation transaction, you place the company stock into a taxable account with a brokerage and roll the remaining assets into your IRA. Generally, when you move assets from a pension into a taxable account, you pay tax on the market value – $3,000 in the above example. But for company stock, you pay tax on the cost basis; here, that's $1,000. You'll also pay the 10 percent penalty if you're under 59 1/2. When you sell your shares, you pay capital gains tax on the net unrealized appreciation. This can result in considerable tax savings if the capital gains tax rate is lower than your income tax rate at the time of sale. The rules are complex and net unrealized appreciation is only available when you leave your employer or the company pension is closed. You must roll the rest of your account into an IRA at the same time so the pension is fully distributed. IRS publication 575, Pension and Annuity Income, has more information and it's recommended you take some professional tax advice. Good Financial Cents: Should You Rollover Your Pension into an IRA? Can I Roll Over Life Insurance into an IRA?